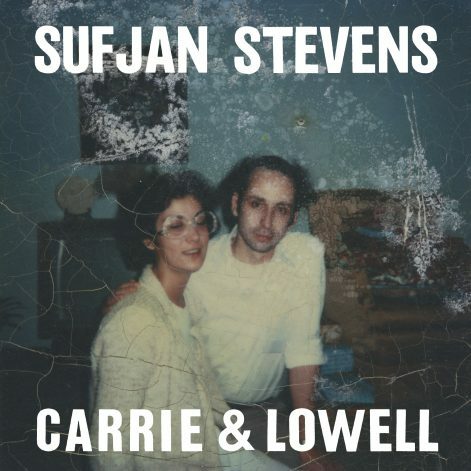 Carrie & Lowell, the new record from Sufjan Stevens, is officially out now. Here at AKR, we’ve had the privilege of listening to this record for many months. We’re quietly elated that we finally get to share it with you. We see ourselves as a good friend sitting across the table from you and saying, “You might want to hear this,” and then dropping the needle on this music as you sit and listen. Is it good? Is it bad? We don’t know. Sufjan’s new songs on Carrie & Lowell are absent of irony or artifice and that makes it difficult to critique. But his songs have given us the companionship and commiseration we didn’t know we needed. Carrie & Lowell has made itself a special place in our hearts. We hope it finds a similar home in yours. Sufjan is on tour in North America in just a couple of weeks, and will also be making stops at VIVID in Sydney in May, at Eaux Claries Festival in July, and End of Road Festival in the UK in September. You can buy the record on CD/LP or digital here.